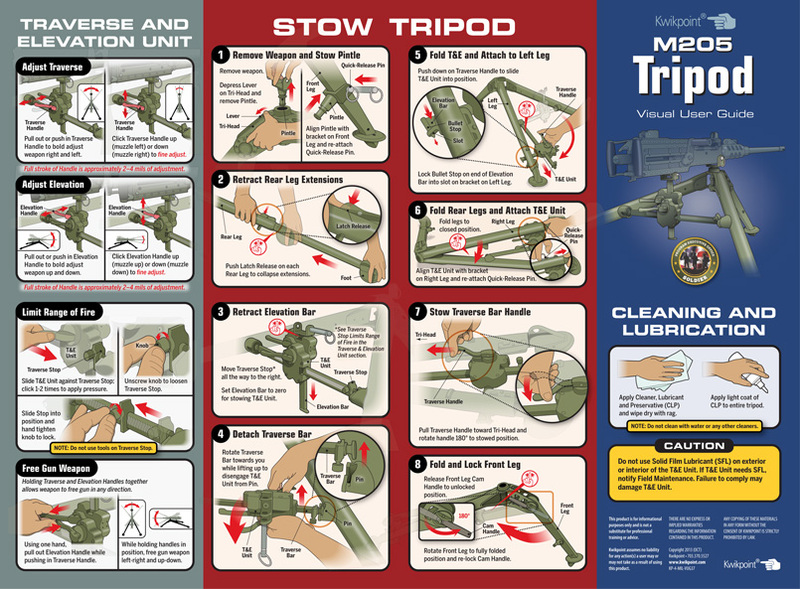 This user guide covers the safe and effective use of the M205 Tripod. This is the standard issue tripod for the 50 caliber machine gun. 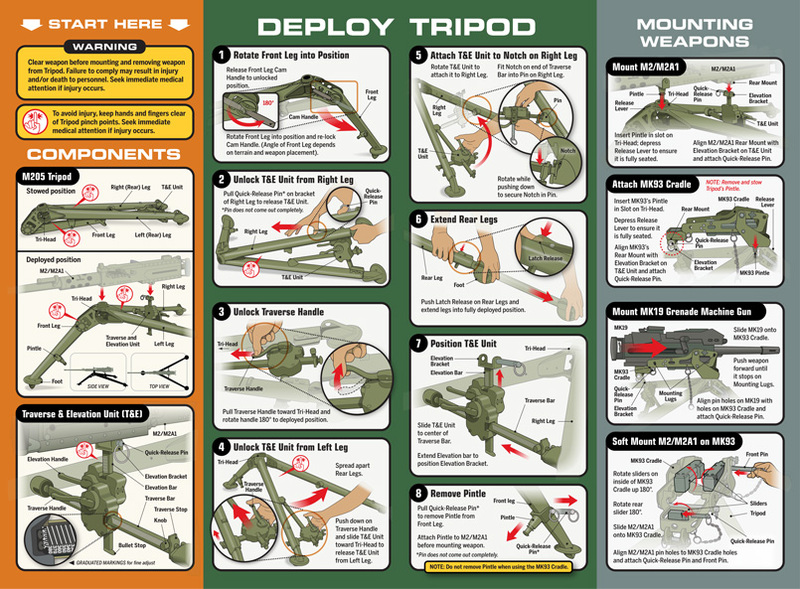 Developed for the U.S. Army, specifically the PEO for Crew Served Weapons, it covers topics such as the components, mounting weapons, using the traverse and elevation unit, cleaning and lubricating and deploying and stowing.